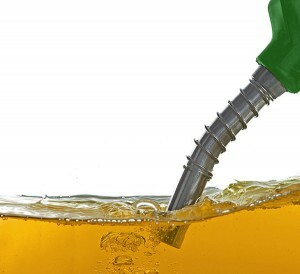 Aemetis expands biodiesel sales to truck operators in India. Aemetis Inc. recently announced that biodiesel sales activity is accelerating in India with truck operators in the logistics industry. Aemetis has expanded sales activity in India since January when the government of India allowed biodiesel manufacturers to sell to customers directly, without distributing through the three national oil marketing companies. The India diesel market is currently estimated at 25 billion gallons per year, which is significantly larger than the current gasoline market of 5 billion gallons per year. According to a study conducted by Nielsen Research for the Department of Petroleum Planning and Analysis, Ministry of Petroleum and Natural Gas, Government of India, trucks consume about 30 percent of diesel fuel annually in India. Diesel use by trucks equates to 7.5 billion gallons of annual consumption in India, of which more than 3 billion gallons is consumed in Southern and Western India providing a potential source of significant demand for the Aemetis biodiesel plant in the state of Andhra Pradesh. “We are pleased to have steadily expanded deliveries to truck fleet operators in Southern and Western India,” said Sanjeev Gupta, managing director of the Universal Biofuels subsidiary of Aemetis. Aemetis owns and operates a biodiesel production facility with a capacity of about 50 MMgy near Kakinada, located on the East Coast of India. After the recent deregulation of diesel prices and market access, Aemetis expanded its sales team, selling to customers including bus and truck fleets, taxis and diesel generators.